New America's Cup sailboats have less than 1 percent of their surface in the water and are powered by a big wing rather than by a mainsail. Like in car racing, success is based on aerodynamics, which is why Land Rover's engineering team is involved. 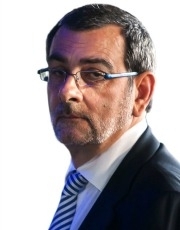 Luca Ciferri is Editor of Automotive News Europe. Land Rover is teaming up with the UK's most successful sailor and with a former McLaren Formula One team principal in a 110-million-pound (126 million euro) bid to win the world’s most prestigious sailing trophy: the America's Cup. The race, originally known as the 100 Pound Cup, was first held in 1851. The intention of the competition, a race around the Isle of Wight, was to show Queen Victoria and the entire world the supremacy of British sailors. The problem was that the race was won by a U.S. boat named America, which is why the event is now call the America's Cup. Since then teams from the U.S., Australia, New Zealand and Switzerland have won the competition. Great Britain never has. The low point was the failure of Sir Thomas Lipton – a billionaire thanks to the tea brand that still bears his name – to win the race despite five consecutive challenges from 1899 to 1930. The involvement of Jaguar Land Rover's SUV brand in the sailing competition goes well beyond national pride and cross-marketing opportunities [many boat owners count on Land Rovers to transport their vessels]. 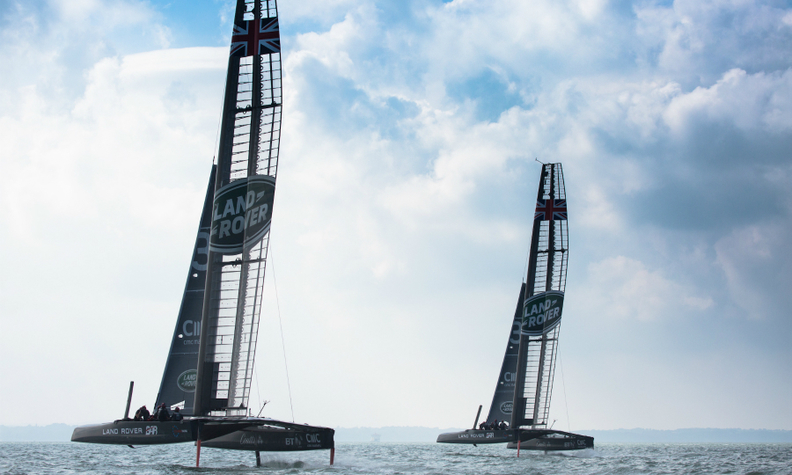 "These boats have less than 1 percent of their surface in the water and are powered by a wing rather than by a mainsail so, like in car racing, it is all about aerodynamics," said Martin Whitmarsh, who is CEO of the Land Rover BAR team. Whitmarsh, who started his career as an engineer at British Aerospace, held a number of top positions with the McLaren's F1 team from 1997 to 2005. Along with Whitmarsh's racing expertise the team is being supported by 40 Land Rover engineers, who are looking for ways to make the boat faster through water and the air. The engineers have created a dedicated software to measure the dynamic performance of the 23.5-meter tall wingsail, analyzing 80 million computational cells in each test in search of definitive data that will help deliver further performance gains. "This engineering process is similar to processes we use at JLR to assess how our vehicles respond at high speeds," JLR Research Director Tony Harper said. This software, called fluid structure interaction (FSI), utilizes aerodynamic testing to increase the performance of the boat's wing -- the catamaran's main source of power – while also providing structural analysis of its deformation. This is crucial because the ultra-light carbon fiber wing not only needs to withstand strong winds it also needs to deform within a specific range to generate acceleration and speed rather than drag. Another area where Land Rover is contributing is via big data analytics. The boats have about 1,000 sensors that generate between 60 and 70 megabytes of data during a race. While Whitmarsh will command operations from the ground, the boss on the water is Team Principal and Skipper Sir Ben Ainslie [BAR stands for Ben Ainslie Racing]. Not only is Ainslie the most successful Olympic sailor of all time – with gold medals in four consecutive games – he helped the U.S.-based Oracle team win the 2013 America's Cup. This time, though, he knows that the stakes are even higher. "I’m trying to take back home a competition that Britain created but has never won," he said. The 36th America's Cup will begin in May 2017 on Bermuda. Land Rover BAR will compete against teams from France, New Zealand, Sweden and Japan for the right to challenge the U.S. team in June. After 25 years in car racing, Whitmarsh is looking forward to seeing things from a very different perspective. "This time I could be on board during the competition," he said, "something that was not possible during my F1 years."